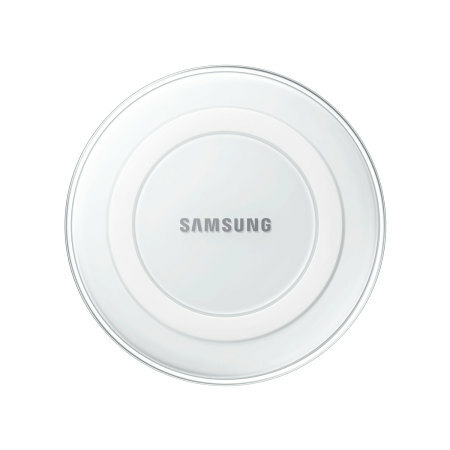 Wirelessly charge your Galaxy S6 or S6 Edge with ease using this official Samsung Qi Wireless Charger Pad in white, featuring intelligent circuit protection. I received my Samsung wireless charger today and I am really impressed by how effective it is. I have a case on my phone and it still works without having to take the case off my phone. The battery was on 95% when I placed it on the wireless charger. I made a cup of tea and the light went from blue to green to indicate that the battery is now fully charged. I would recommend this product to all as it really is nice to be able to place your phone down when you need a charge without having to plug it in all the time. I forget to plug in my phone to charge sometimes as I don't like turning on the light to plug it in correctly. This will make charging a lot easier as I can now just place it on the charging dock when I am ready to go to sleep. I recently buy a Samsung s6 edge and I looked for a wireless charger and I found this website online. I found the charger at the best price possible and I really love this. Having damaged the charging point on my S6 Edge I was looking at a heavy repair bill to get the item fixed or even a new phone.Until I discovered Wireless Charging!! 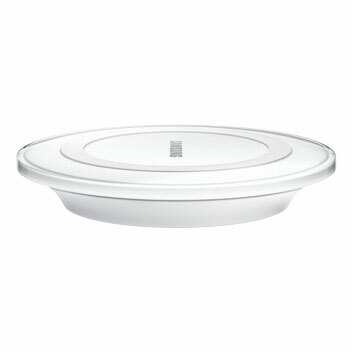 What a great alternative at an amazing price!! my problem was solved for virtully no cost outlay and within n hour of placing my powerless device on the charging pad it was fully charged and back to its best. Added to this I was able to get next day delivery direct to my workplace meaning minimum time phoneless. 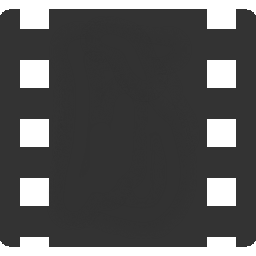 I am very very hqppy with thiw purchsse. Thank You!! This Official Galaxy S6 / S6 Edge Qi wireless charging pad has been designed to complement the unique product styling of Samsung's new handsets and as such is the perfect home or office charging solution for your phone. Not only does the charger save tangled cables from cluttering your desk space, but the pad actually looks aesthetically pleasing with its smooth contours and clean lines. 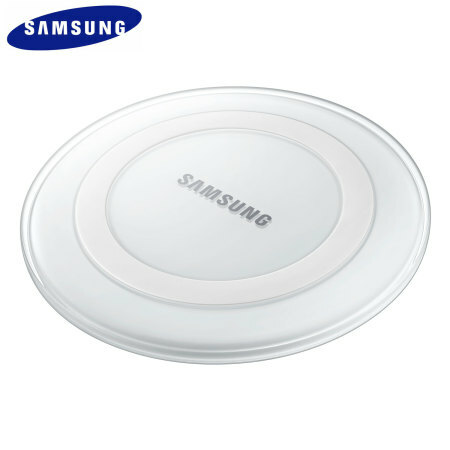 The Samsung Qi Wireless Charging Pad allows your S6 or S6 Edge to charge wirelessly via electromagnetic field and inductive coupling that send an energy charge from the charging pad to your phone. This makes for a beautiful space saving way to charge your phone at your desk, office or at home. The Samsung Qi Wireless Charger automatic shut off feature prevents your Galaxy S6 / Galaxy S6 Edge from continuing to charge once the battery is full, providing a smarter, more efficient charging solution over traditional mains chargers. 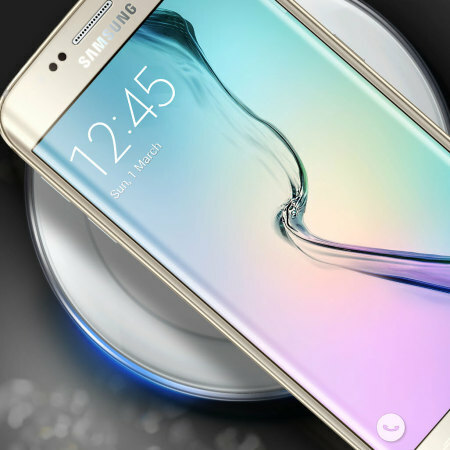 The Samsung Wireless Charging Pad is a perfect fit with any wireless charging handset, including the new Samsung Galaxy S6 and S6 Edge. Quick and simple to use, this official wireless charger also features an ambient LED display, which indicates your phone's charging status by glowing blue when charging and glowing green when the battery is full. So in an instant you can know when your phone is fully charged, just by looking at it.